The hotel is situated in quiet zone in close nearness to the centre, close to the subway station “Prazskeho povstani”, line C, three stops to the Wenceslas Square. 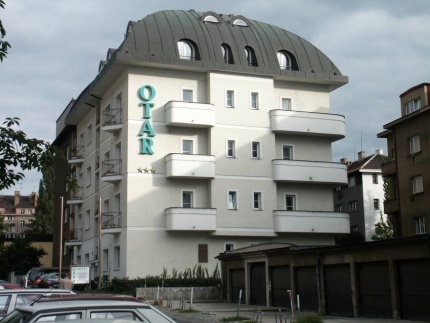 A six floor building of an atypical architectonic design offers 107 beds disposed in 38 rooms and two apartments, one of them equiped for disabled guests. All rooms with ensuite facilities, telephone, cable TV set and radio.